Guitarist Richard Thompson has been described as one of the Top 20 guitarists of all time. He's a songwriter as well as a guitarist, and has written songs that have been performed by an amazing range of stars including Bonnie Raitt, Robert Plant, Sandy Denny, Elvis Costello, David Gilmour, REM and many more. He's won an Ivor Novello award, won a lifetime achievement award from BBC Radio along with other achievements. 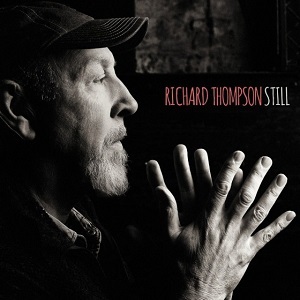 This is the third solo album from Richard Thompson that I've listened to, and all ahve been quite different. With this album there's a definite English folk feel to the music - reminiscent of his early career with Fairport convention. The guitar is quite understated at times, but he still includes some lovely guitar solos when it fits the song - it's definitely a case of what is best for the song coming first rather than a chance to show off his guitar skills. A standout track is the fantastic "Guitar heroes" where he pays tribute to some of his guitar heroes, and over the course of seven minutes he moves effortlessly between the different styles of the various heroes including Hank Marvin and Chuck Berry. It's a superb track and really highlights just how good a guitarist Richard Thompson really is. An excellent album that is well worth a listen.